I was afraid they may not return, with little to return to. 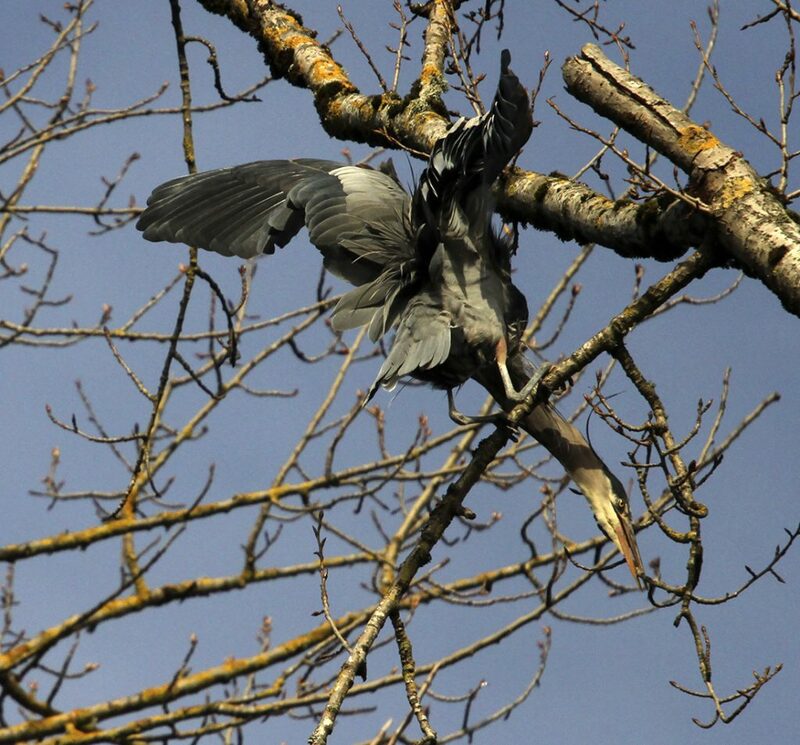 The ice storm in December tore limbs from the trees, and with them, the nests of blue herons. 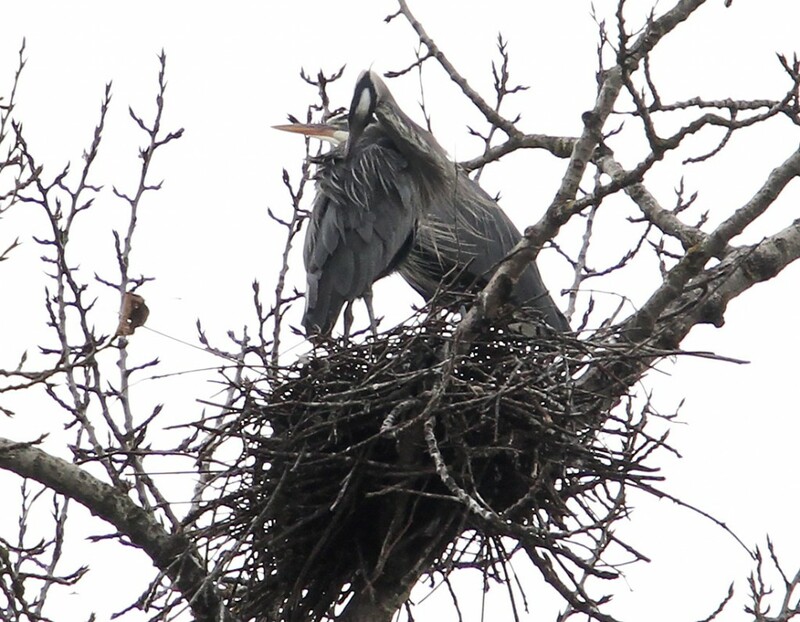 When I went to survey the area about six weeks ago, I found two of the nests. 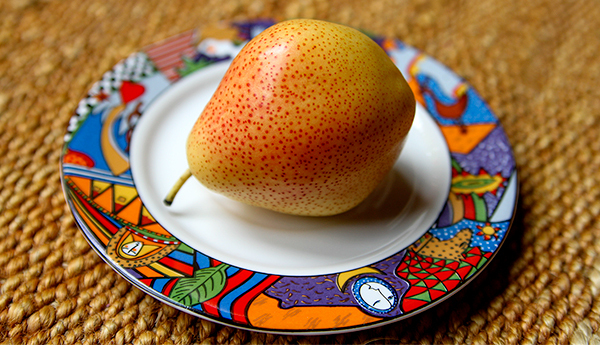 One of them was completely intact as if it had been plucked from the branch and placed onto the ground. The other had been a bit flattened by the fall, looking like a messy pile of twigs. The intact nest was like an intricate woven piece of art that I tried photographing, but, even from several different angles, the photos failed to show the depth of it. I picked it up to try and get a sense of its weight. It was densely heavy. On the very top of the nest, tangled within the twigs, was a few feet of fishing line that some careless person had left behind, a nesting material some birds use that can be injurious or even deadly to them. I placed the nest in the crook of the tree to photograph it but it does not show it to scale: approximately a foot wide, two feet in length and 6-8 inches high. 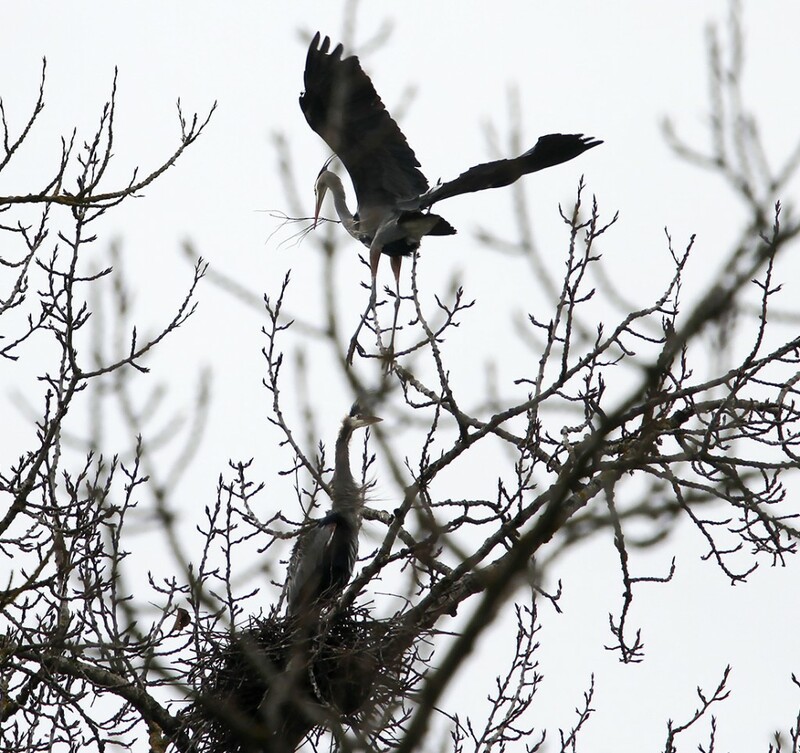 Upon my return to the rookery a few days ago I was elated to see cottonwood trees alive with herons. 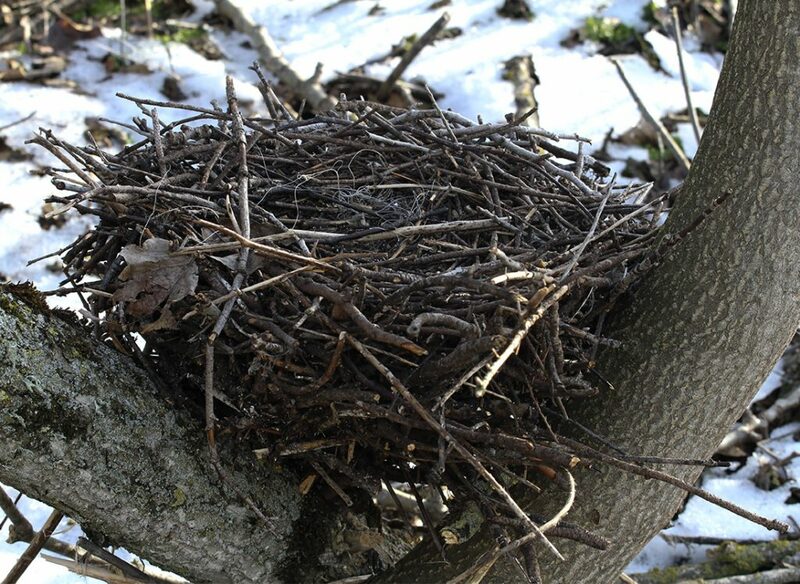 The two nests that survived the storm were occupied, another was being created. I counted four mated pairs. Standing beneath the towering, bare-leafed trees on the muddy, branch-scattered terrain, I felt as if I had been transported to a different world. 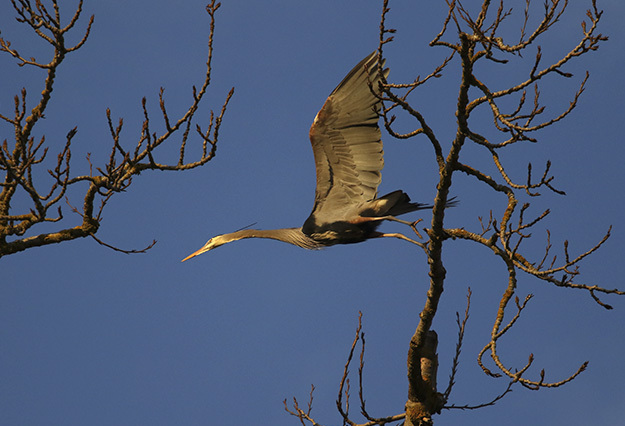 Herons alighting from branches floated through the late day blue sky. 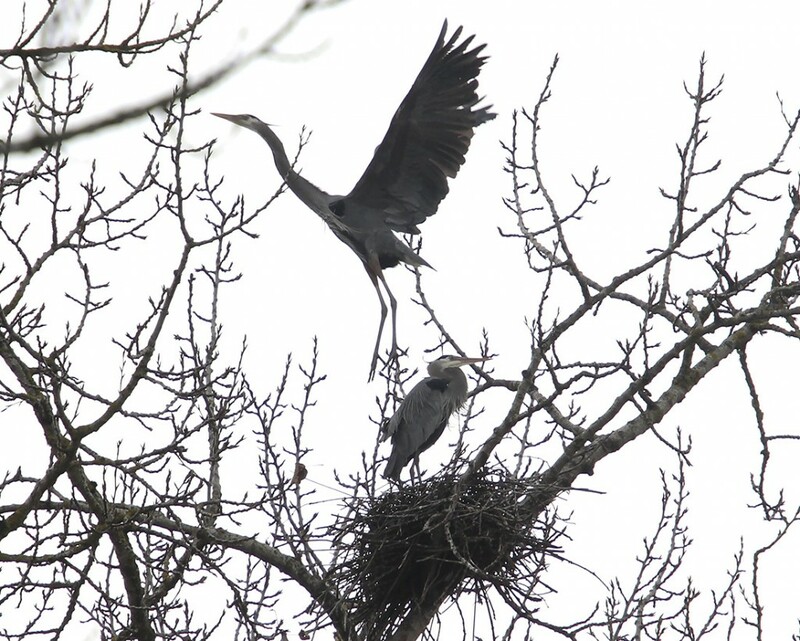 In the nests were herons sitting silently atop eggs. 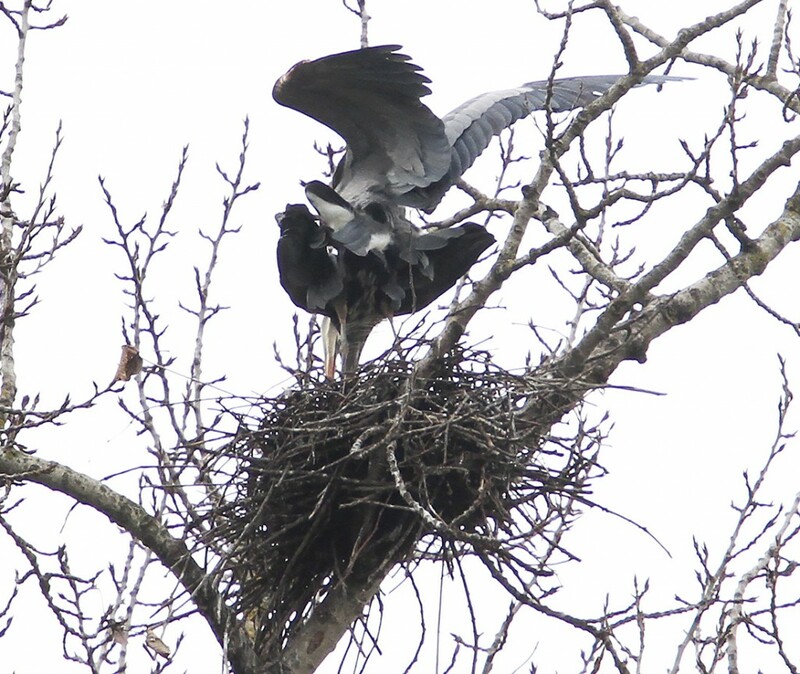 And the most delightful sight, one of the bonded pairs was building their nest together. 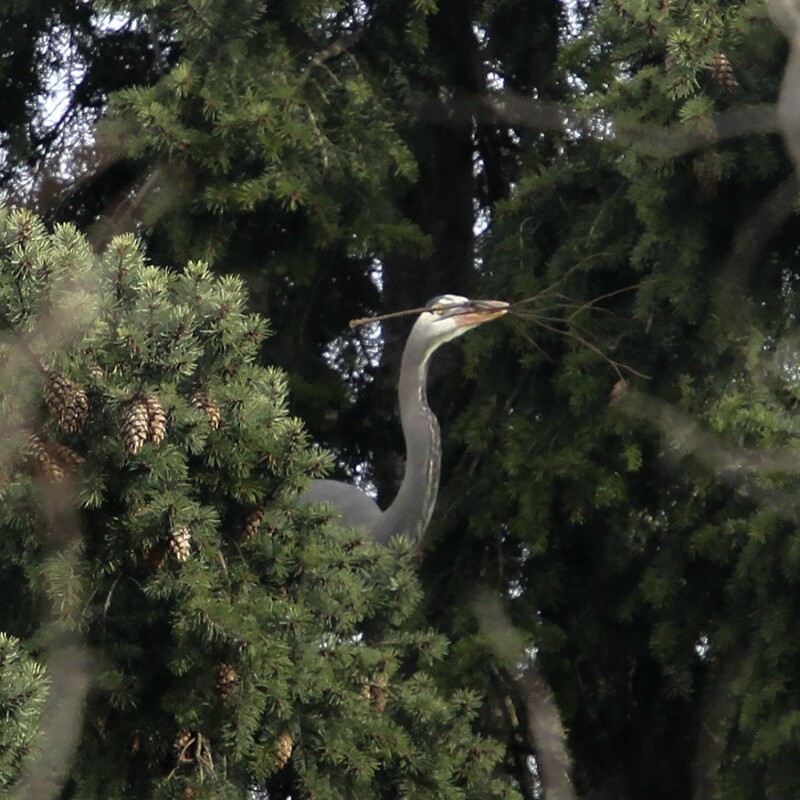 The male heron is in charge of collecting the twigs for the nest. 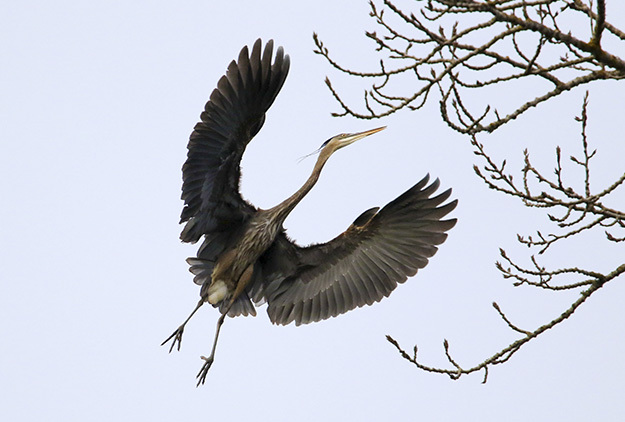 I watched as he flew off several times in search of the next sprig, diligently tugging at the tree until it let go. 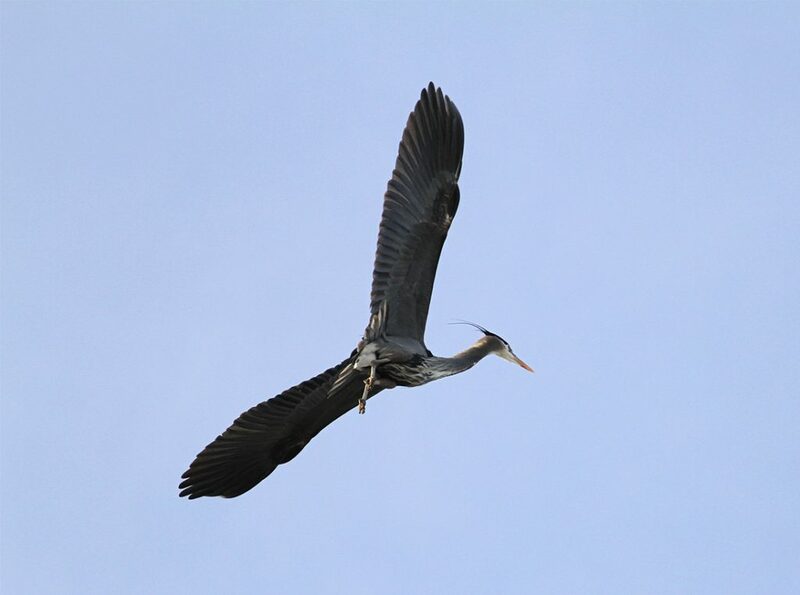 He'd fly back to his waiting mate, squawking as he neared the nest. She would sometimes squawk too, as if to say 'hurry', maybe due to the setting sun and the approaching nightfall. He'd give her the twig; she at once began weaving it into the nest while he stood for a brief period, looking off in several directions before going off in search of another. 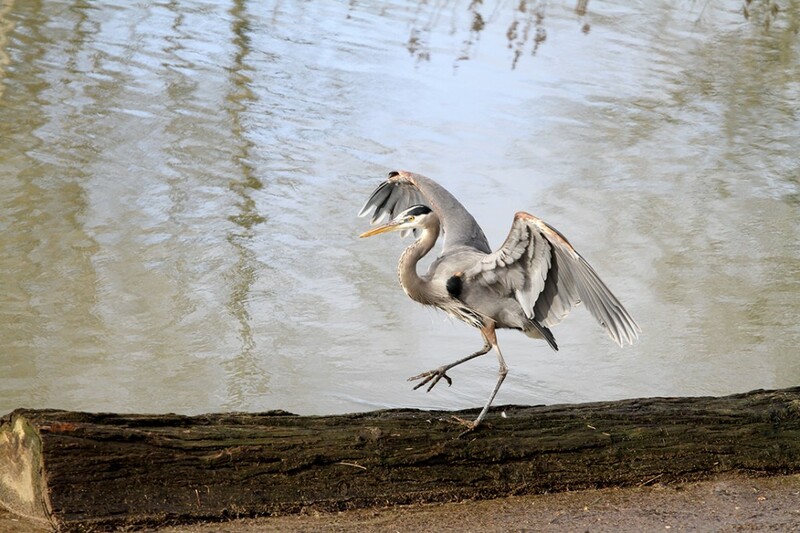 The cooperative dance between the pair was joyful to watch. 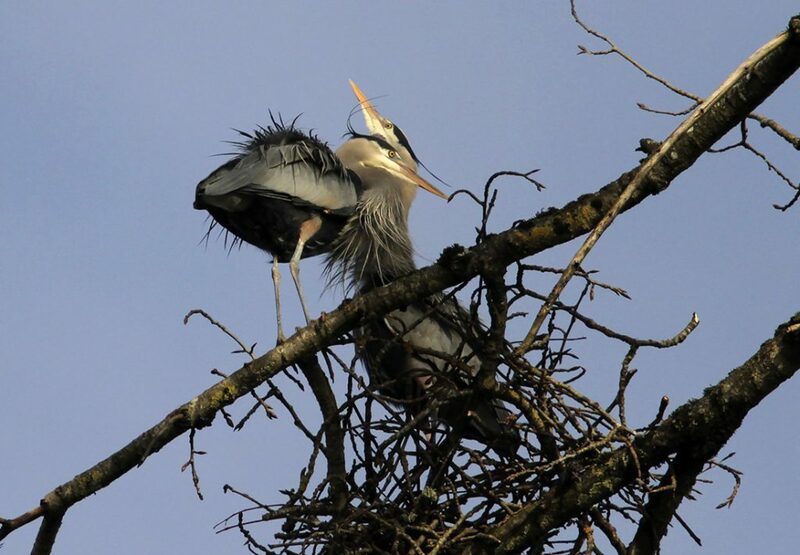 I wish I could hang out with the herons everyday to witness the evolution of the nest, to see how long it takes to create a suitable home for their young. 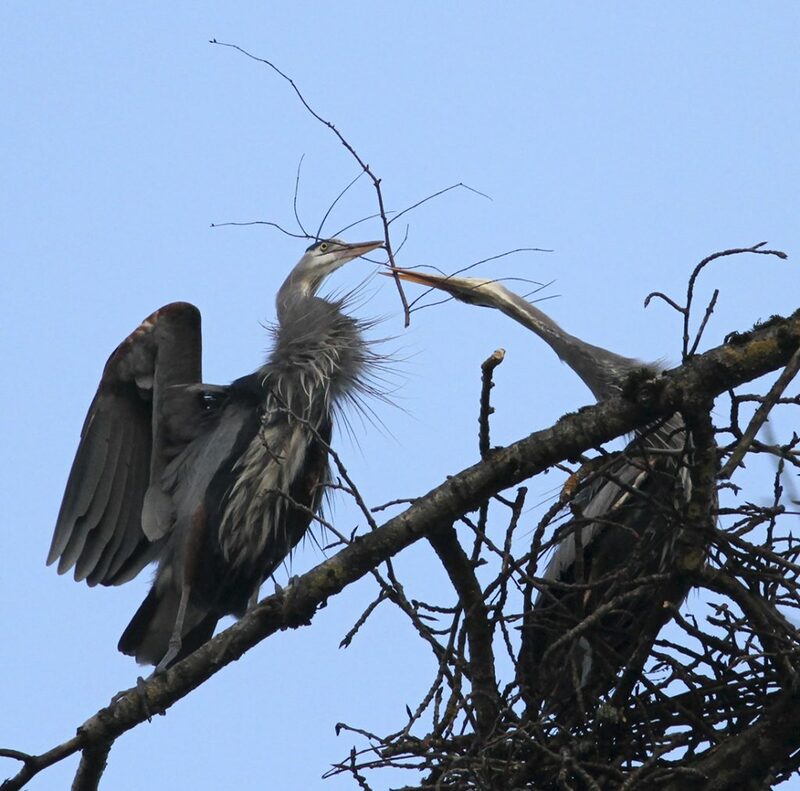 One brief mating interlude occurred between twig fetching and nest weaving; baby blue herons are in the near future! Posted in Uncategorized on March 6, 2017 by barbara. Some of you who are subscribed to my blog did so to receive updates on the Daughters of India book project. Although I continue to research and collect relevant material for the book, as well as keep the blog on Mitu Khurana updated (please check out the blog for the latest updates in Mitu's situation, which unfortunately are not favorable), I needed a break from the intensity of the subject matter which I have been involved in for a number of years. The break - which came about organically and serendipitously - is a photography project at Delta Ponds where i have been wandering, observing and photographing the inhabitants that occupy those ponds. 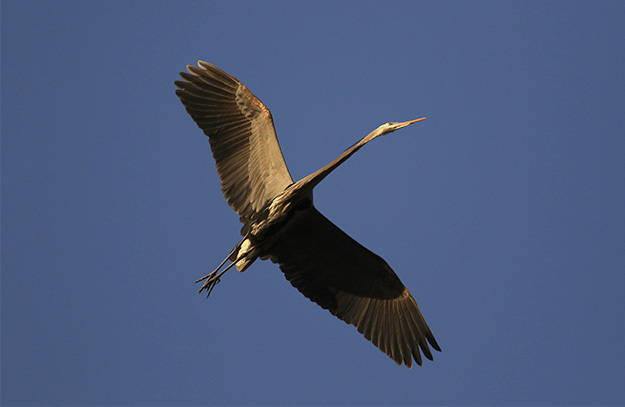 It has been a sort of meditation, a rich and rewarding experience where I have also been able to learn about the habits and rituals of birds. With my adoration of the great blue heron, my initial idea was to focus on them. But the more time I spent at the ponds, the more wildlife I began to see, which prompted the idea to photograph whatever I saw, which it turns out, is a lot! This year-long project - moving through the seasons - will soon be coming to an end. When complete, I will begin the process of creating the book, which will be both exciting and challenging, to comb through over sixty thousand (and counting) photos. Some of my favorite photos will be available as prints (I'll post information about this to my blog when that happens). In the meantime, don't forget to check out the Photo of the Day, which I generally update every few days, depending on how occupied I am at the Ponds. 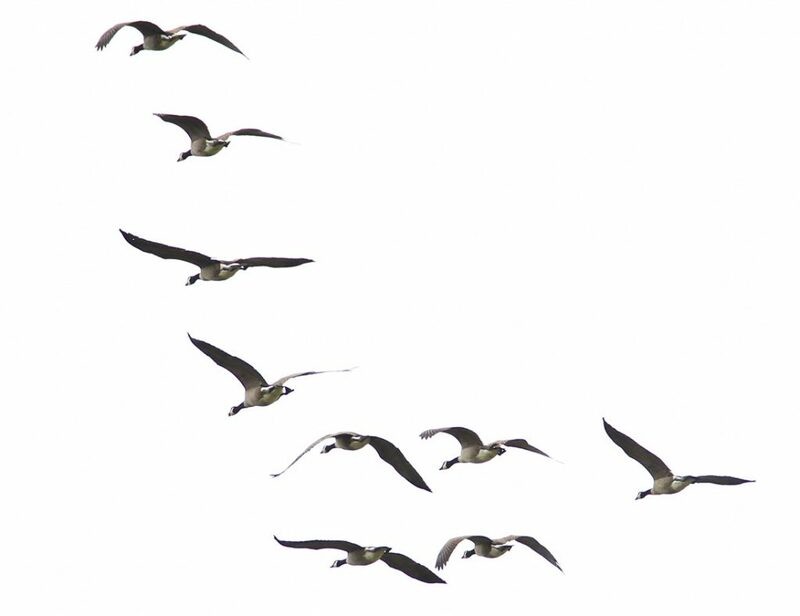 Happy Fall where the skies are alive with migrating birds! Posted in Uncategorized on October 10, 2016 by barbara. 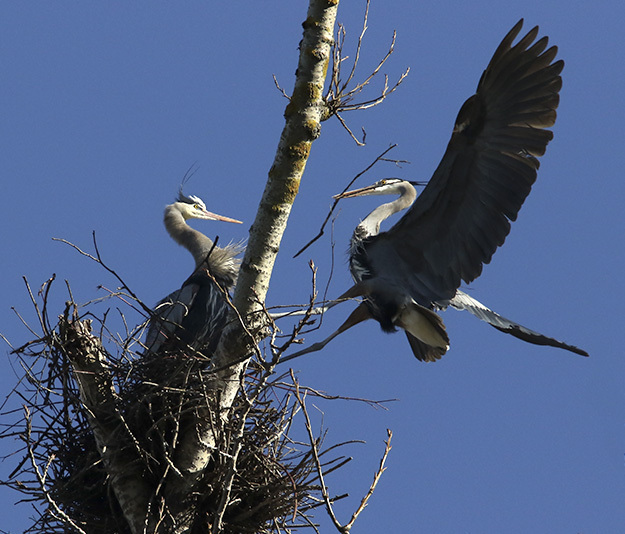 Imagine standing in your backyard and seeing this in the near distance high up in a cottonwood tree, a mother heron with her three young children. I was standing (quite a distance away) in the street in front of the house when an occupant came out. I told her she was lucky to have them there - she said "No, they squawk a lot". 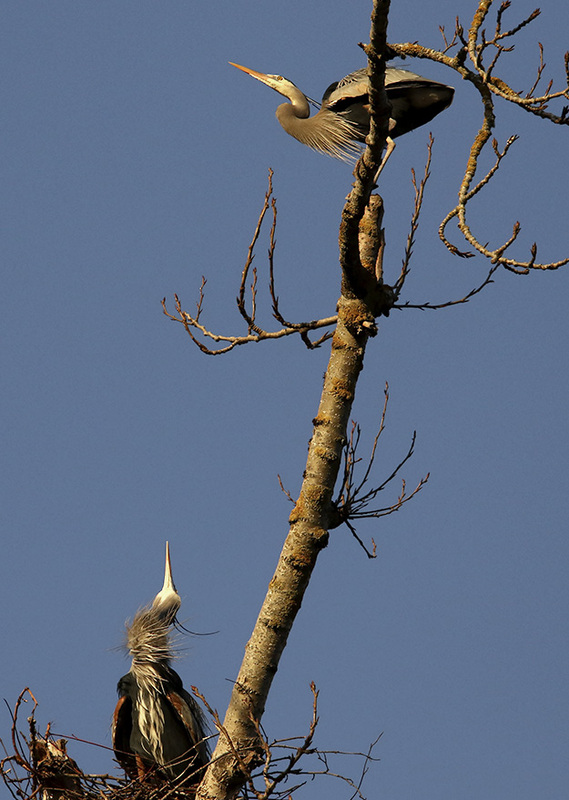 Maybe it's because I adore blue herons, but I love when they 'squawk'. It's wild and raw! And look how cute those youngins' are. Posted in Uncategorized on May 4, 2016 by barbara. I've recently added a Photo of the Day page where I upload new photographs from my adventures at Delta Ponds. 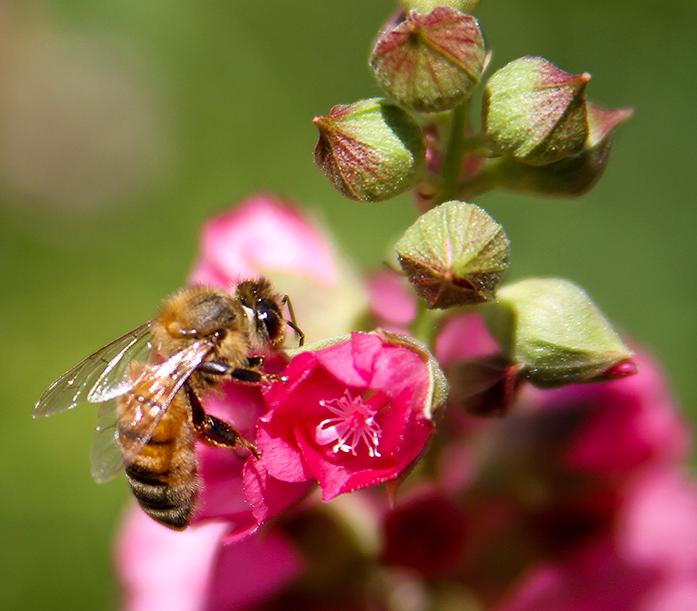 Spring is exploding with wonder! Posted in Uncategorized on March 23, 2016 by barbara. 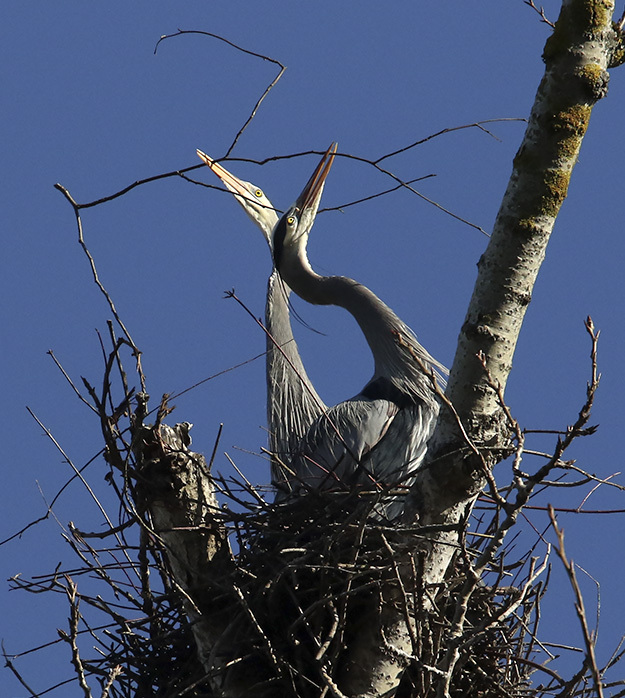 High up in the topmost branches of a Cottonwood tree situated next to a pond is a great blue heron rookery, where herons can be seen perching, interacting, sitting atop nests, and flying to and fro. The most I've counted in the tree is 13, but the number likely increases when they are all in for the night. Yesterday, I witnessed a mating ritual between the couple who occupy the tallest part of the tree. It was an extraordinary interaction to observe and photograph. He roots around in an evergreen not far from the cottonwood until he finds the perfect twig . . .
Posted in Uncategorized on February 11, 2016 by barbara. I've long neglected my blog in favor of spending time out in the field, on freelance assignment photographing birds at Delta Ponds, which I will be crafting into a book. If you've not visited my site in awhile you will notice the addition of many new photos taken at the ponds. 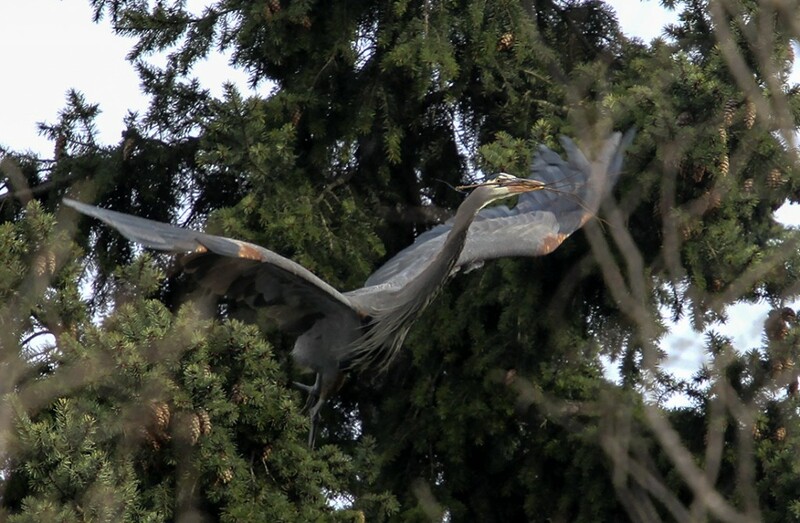 The Blue Heron is my primary and favorite subject, though I am intrigued by and photographing all that I encounter. And with great passion. I love being there. It is a sort of meditation. A few weeks ago Bald Eagles began arriving which has been a true joy since I've not seen them so up close and personal before - I was a witness to one of their mating rituals! I feel in awe being in the presence of these creatures, excited to share their portraits with you. Posted in Uncategorized on January 26, 2016 by barbara. 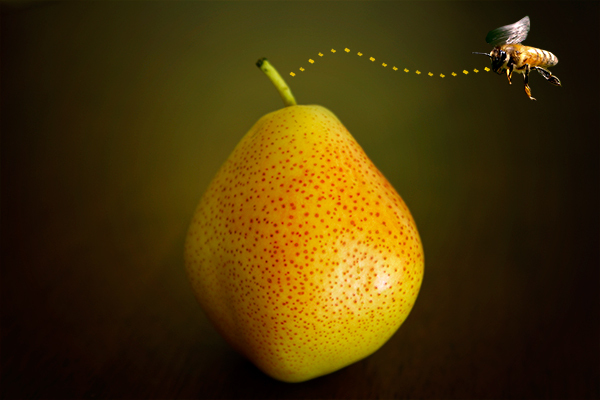 It's been quite awhile since I've posted anything new to my blog, though i've been feverishly busy. In February i decided to change to a self-hosted website which has proved to be a project of untold proportions. I've basically rebuilt everything from the ground up, and in the process know a little more about html and css coding necessary to tweak my website beyond the parameters of the template. As I near completion of the renovation, I will be blowing the dust off my long-neglected book project and get back to my writing. I'll continue my photography and photojournalism projects as well, hopefully juggling and balancing all of them harmoniously. Due to the server move, the automatic subscription alert needs to be renewed, which can be done by subscribing at the bottom of the blog page. Thank you for your continued interest and support. Posted in Uncategorized on April 11, 2014 by barbara.